1. How Big Is It? : The Mini Cooper-sized rover is much bigger than its rover predecessors, Spirit, Opportunity and Sojourner. Curiosity is twice as long (about 2.8 meters, or 9 feet) and four times as heavy as Spirit and Opportunity, which landed in 2004. 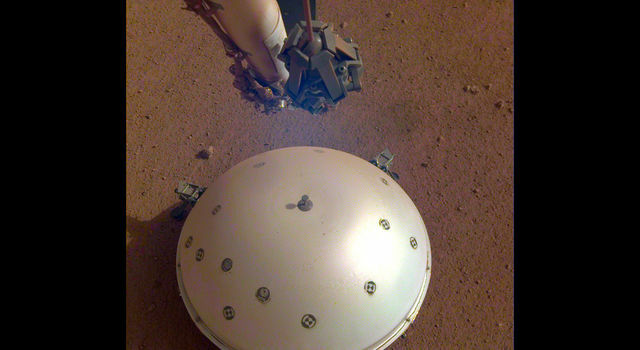 Sojourner, about the size of a microwave oven, landed in 1997 as part of the Mars Pathfinder mission. 2. 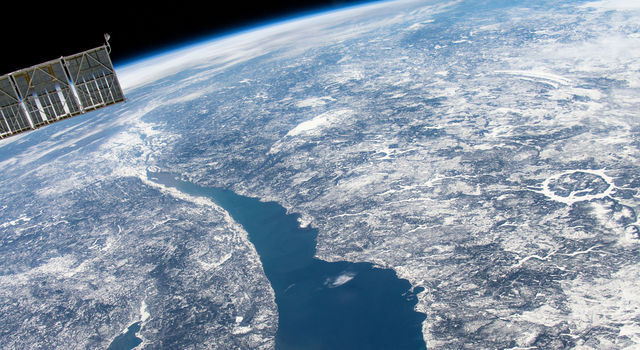 Landing--Where and How: Curiosity will land near the foot of a mountain taller than Pike's Peak near the middle of Gale Crater, which is the size of Connecticut and Rhode Island combined. The landing system is similar to a sky crane heavy-lift helicopter. After a parachute slows the rover's descent toward Mars, a rocket-powered backpack will lower the rover on a tether during the final moments before landing. This method allows landing a very large, heavy rover on Mars (instead of the airbag landing systems of previous Mars rovers). 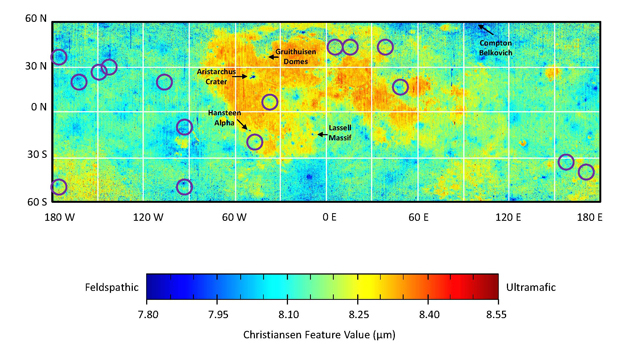 Other innovations enable a landing within a smaller target area than previous Mars missions. 3. 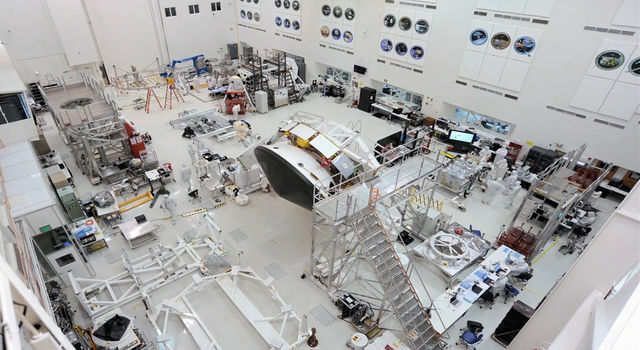 Toolkit: Curiosity will use 10 science instruments to examine rocks, soil and the atmosphere. A laser will vaporize patches of rock from a distance, and another instrument will search for organic compounds. Other instruments include mast-mounted cameras to study targets from a distance, arm-mounted instruments to study targets they touch, and deck-mounted analytical instruments to determine the composition of rock and soil samples acquired with a powdering drill and a scoop. 4. 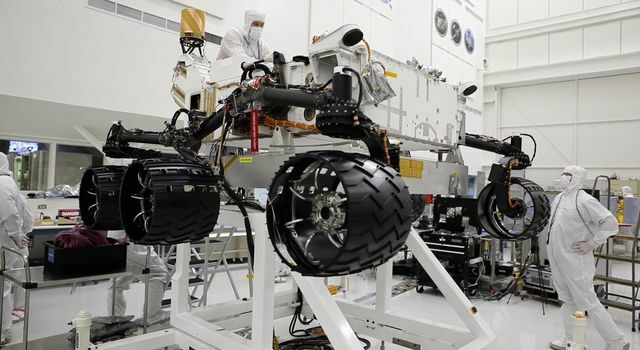 Big Wheels: Each of Curiosity's six wheels has an independent drive motor. The two front and two rear wheels also have individual steering motors. 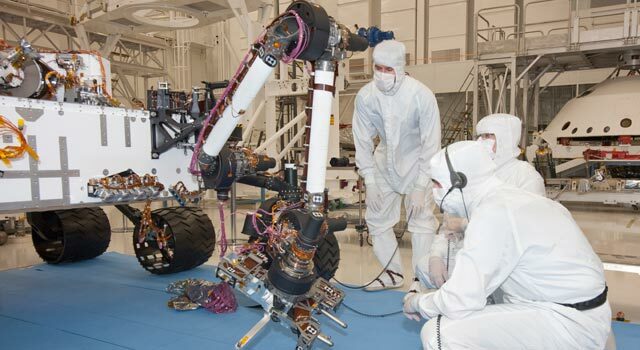 This steering allows the rover to make 360-degree turns in-place on the Mars surface. 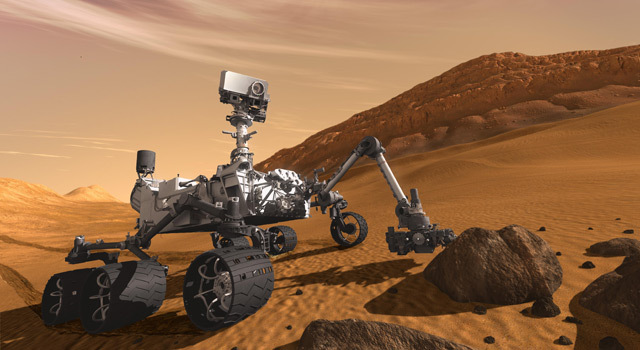 The wheels' diameter is double the wheel diameter on Spirit and Opportunity, which will help Curiosity roll over obstacles up to 75 centimeters (30 inches) high. 5. Rover Power: A nuclear battery will enable Curiosity to operate year-round and farther from the equator than would be possible with only solar power.